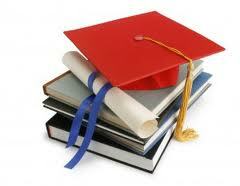 Education in Goa, Goa Higher Secondary Education, Goa Education. Goa is not only known as the best tourist place but also best educational institutes are found in Goa to pursue higher studies. Goa is the smallest state in India which provides quality education. The literacy rate of Goa is better then other states. Goa University is the only university located in this state which was formed under Goa University Act 1984 is accredited to National Assessment and Accreditation Council (NAAC). Apart from English the University of Goa also offers Bachelor and Master’s degrees in Portuguese Language. English is the medium of instruction in most of the schools, colleges, universities and professional institutes of Goa. In several schools of Goa education is also provided in Konkani and Portuguese.